There's more than one way for developers to make a buck off the App Store. Third-party services are springing up that give app makers another source of revenue beyond downloads and in-app purchases. Developers, of course, take home 70 percent from every App Store sale, with Apple keeping the rest. (Last month, Apple said developers had pocketed $4 billion from their share of App Store sales since the virtual retail outlet opened its doors in 2008.) Some app makers add to their income by displaying advertisements in their programs. But a couple clever third parties are providing iOS developers with a new revenue stream by giving users the ability to buy physical goods tied to apps from within the apps themselves. Take Tap2print. 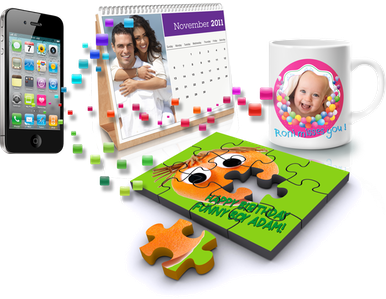 The company offers a free software development kit (SDK) to developers of photo-centric iPhone apps. With minimal coding work involved, developers can then allow users of their apps to order custom prints of their photos—including posters, mugs, iPhone cases, magnets, shirts, and other photo-adorned accoutrement. And since Apple’s in-app purchasing requirements apply only to digital goods, developers needn’t cut Apple in on any money they earn from such sales. That’s a double-edged sword, though. It also means that Tap2print and the developers who implement it can’t directly access customers’ billing data, meaning users have to manually enter billing information—a sometimes painful process on an on-screen keyboard. Instead, Tap2print offers its own in-app purchase flow, accepting PayPal and credit cards. By necessity, the last steps of the purchase process involve an integrated Web browser within the app. PayPal “is easy and well-known, and users like it,” Margalit says, but “we’d love to see a way to use in-app purchasing,” since that could make the process even simpler. Margalit adds that developers get “a very generous rev share,” earning dollars on every order placed through Tap2print. Current partners include Photogene and Photo Mosaica. Tap2print isn’t the only company in this space; Sincerely offers a similar development kit. 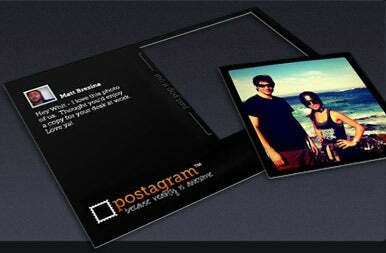 Sincerely started out making its own photo-sharing apps for iOS—including Postagram, PopBooth, and Sincerely Ink—enabling those apps to send custom 4-by-6 inch photo postcards for $1 in the US or $2 internationally. Hua says that more than 30 developers now leverage the Sincerely API. Developers apply for access; says Hua, “We prefer apps that have a higher user rating, good design, and a good user experience.” Sincerely requires that customers create an account during the checkout process, and a customer’s Sincerely account is shared across any apps that use the Sincerely API. That means you don’t need to re-enter addresses or other information when you switch between apps that leverage the API. Sincerely's printed postcards can include a custom message, and the photo itself can be punched out from the card to save. Sincerely offers only those photo postcards. After the $1 and $2 base prices, developers can charge anything above those rates for the cards, and keep 70 percent of the added cost. The good news for iOS developers, of course, is that they have options. In a world where developers can’t charge for upgraded versions of their apps, finding additional ways to profit from apps is an imperative. In-app purchases can leave users feeling nickel-and-dimed; in-app advertisements can leave users feeling used. But with these photo services, developers can offer customers non-invasive physical value, and score a new revenue stream in the process.